Field inspections for oil&gas industry regarding the inspection of corrosion in all sizes of pipes used in drilling risers and related equipment. A faster, reliable and secure tool for use in the market. Inspections where removal of buoyancy is not available to the client. Inspections in house or site inspections where speed is of importance to proceed to next phase of Project. Rig inspections where rigs are in transit or have requirements between well’s where thickness measurements are required. Overseas locations that have no other resources for inspections. Security Increase, by moving less. We have 12 plus years experience in running and evaluating internal inspection equipment using ultrasonic equipment. 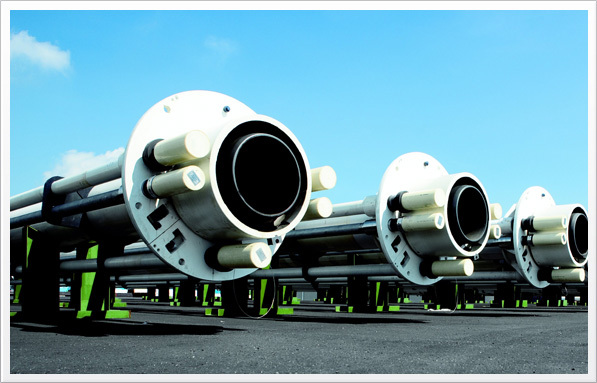 Our team have more than 30 years in the manufacturing and repair to oilfield equipment. Our team is seasoned personnel in working in remote locations. Have performed inspections to every kind of riser manufactured to date. We have maintenance services for Risers and Buoyancy.